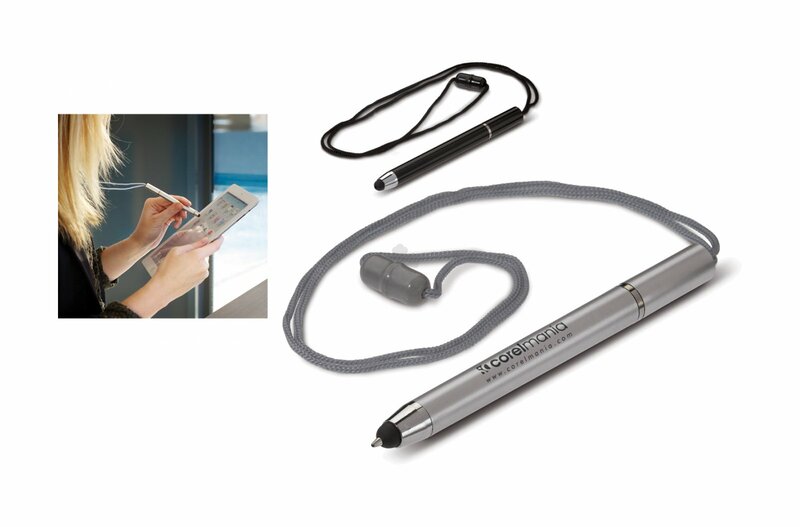 You'll never have to rummage around again to find a pen with our Neck Pen Stylus. What makes this product so practical is that it doubles as a stylus, meaning it's a handy tool for all touch screen devices. Available in Silver or Black with a 42cm length cord and design screen printed to the side of the barrel, fitted with a Blue ink refill. This promotional product serves a useful purpose whilst offering an executive finish. Blue ink refill, as standard.